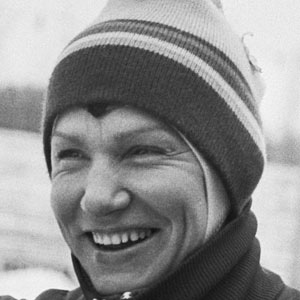 Russian speed skater who won two Olympic gold medals at the 1976 Innsbruck games, in the 1000 and 3000 meter races. She won her first medal in International Competition at the 1974 World Championships where she won silver. She won two gold medals and two bronzes at the 1976 Olympics. She married Inge Barabash in 1978. She won gold at the 1976 Olympics where figure skater Dorothy Hamill also took home the gold.